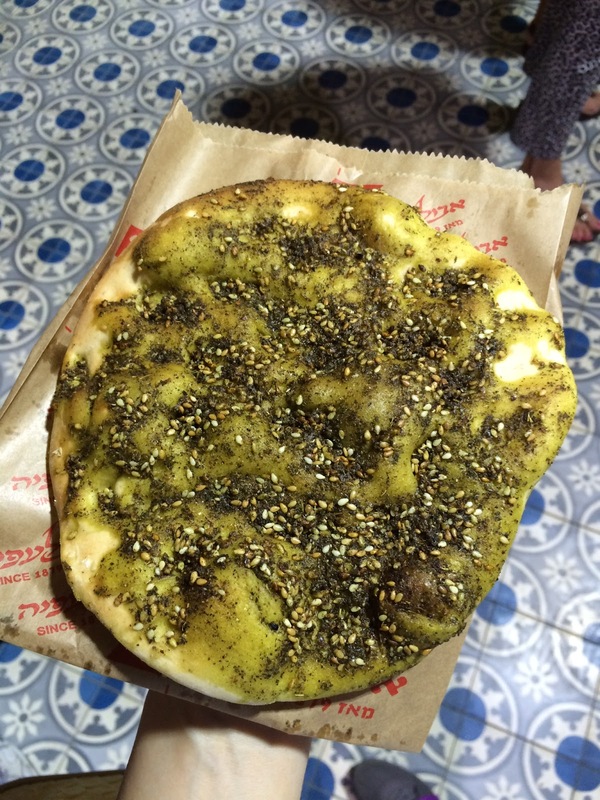 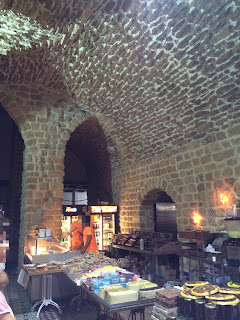 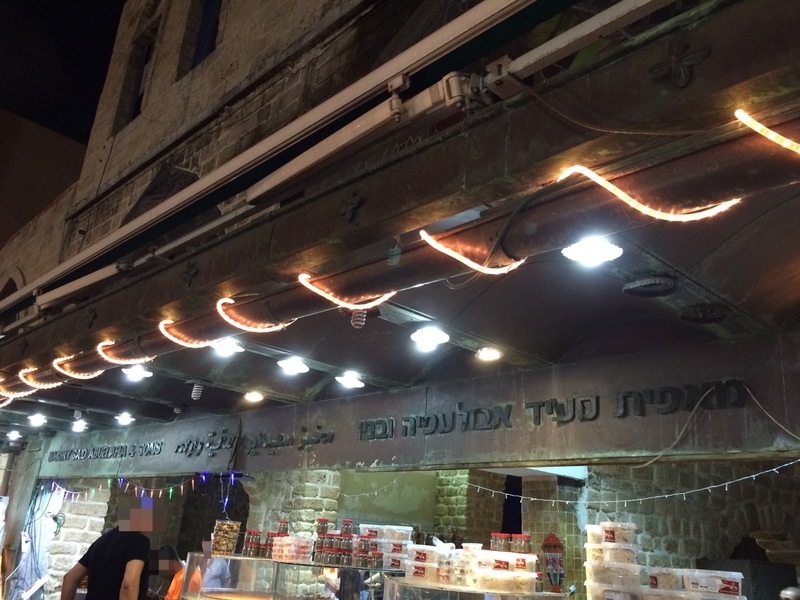 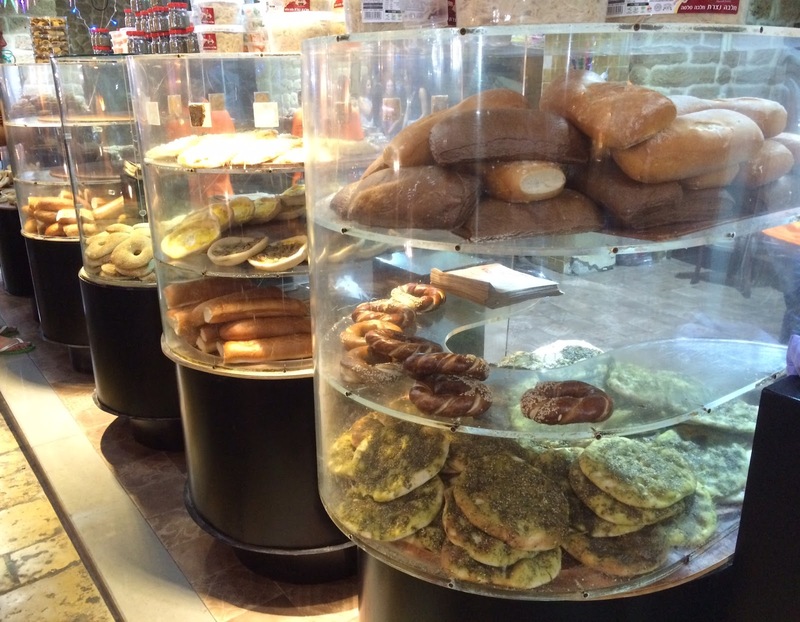 One of the must-visit places in Israel was "Abulafia," a famous bakery selling flat breads with zaatar spices. 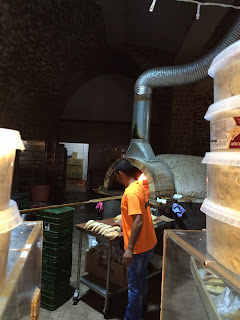 We're there around 9 PM, but the bakery had many customers buying their bread. These looked like deep dish pizzas but they're holding shakshua, hummus and some other ingredients. 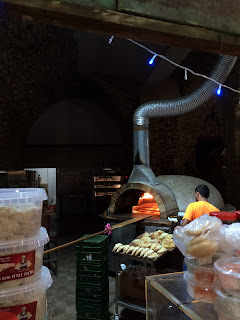 The bakery looked like a reformed church with all brick architecture. We bought 2 kinds of bread and they put in a bag individually. This is the famous flat bread with zaatar, which is called "manakish." I thought the bread was just baked in the oven, but it looked like some oil was brushed. 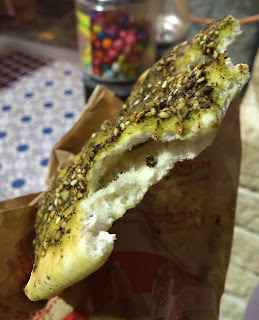 Zaatar had unique and characteristic flavor (a mix of thyme, sesame seeds, sumac, salt, cumin and coriander). 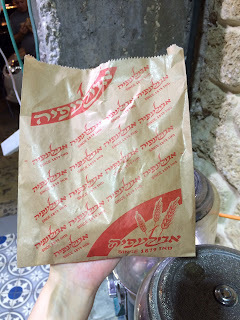 The bottom of the bread was fragrant and lightly crispy, and the inside was soft and moist like a loaf of bread. 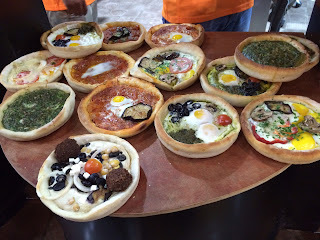 The oil was just a bit and it's not greasy or no oil was dripping like pizza. 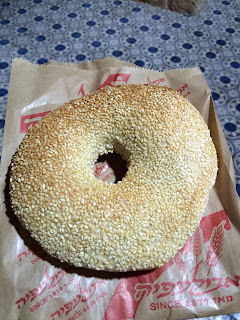 This one, I have no idea what it is called, but at least I can tell you it's not a bagel. 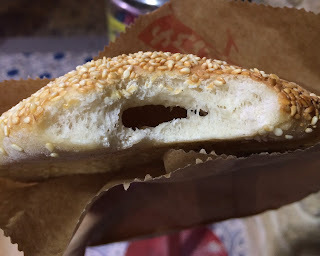 It's not chewy at all like bagels and the height was about a half while the diameter was larger. The dough was lightly sweetened and soft, and it's plain and can be appreciated by more people than manakish above.